Lyons Coffee are offering one lucky winner the chance to win a £400 Love2shop gift card and a year’s supply of Lyons Coffee bags. 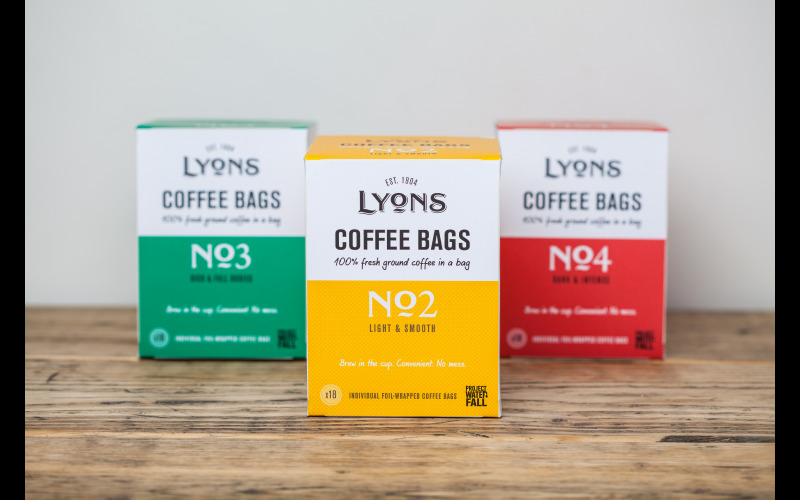 Just like a tea bag, but coffee, Lyons lovingly roast and grind the finest coffee beans, sealing all that freshness and flavour into individually foil wrapped coffee bags. Quick and easy to use, they are an ideal choice for busy mums, active families or time pressured commuters. Perfect for people on the go, who want convenience without compromising on flavour. Available in three different strength varieties, plus a decaf option, there’s a coffee to suit every mood and taste: No.4 Dark and Intense, No.3 Rich and Full Bodied, and No.2 Light and Smooth. The vintage-style packaging is bold, stylish and eye-catching – the perfect addition to brighten up the kitchen cupboards and only costing 15p a bag makes them the perfect choice! Lyons Coffee Bags can be purchased from Waitrose, Sainsbury’s, Ocado, and Nisa.